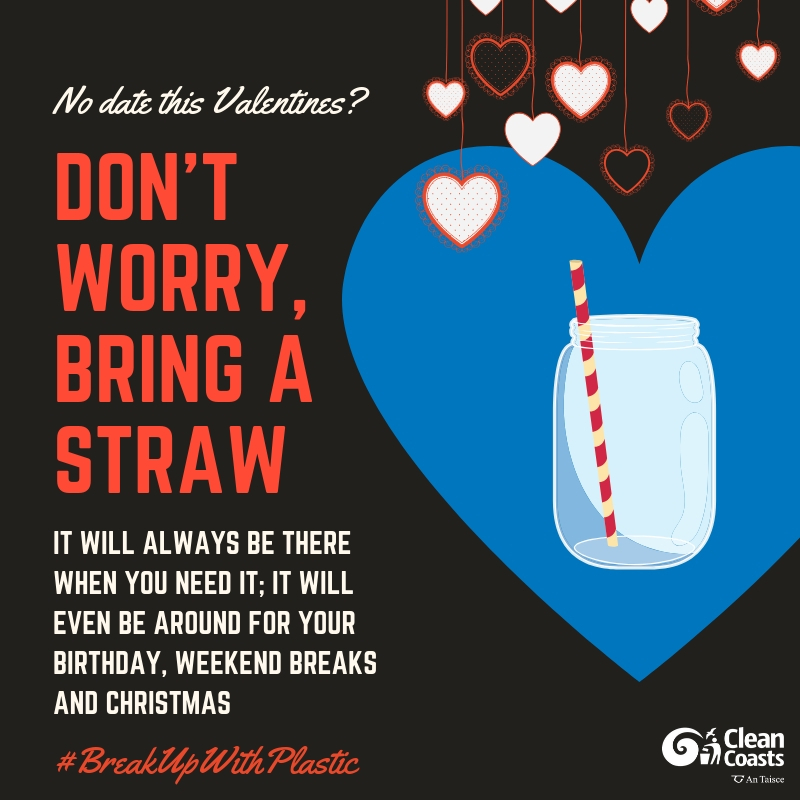 This Valentine’s Day we are inviting Irish people to break up with plastic. 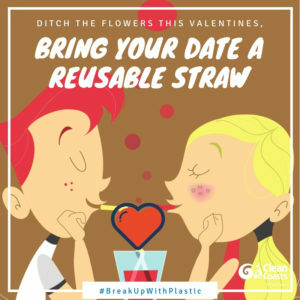 This February 14th, ditch plastic and bring a reusable straw on a date. 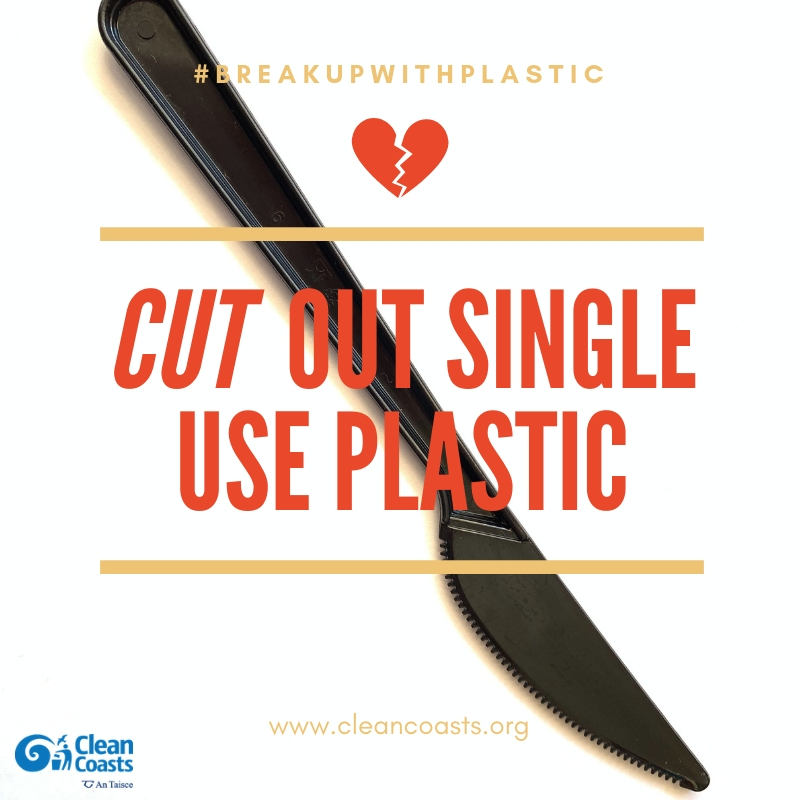 With this initiative Clean Coasts want to raise further awareness about the global issue of plastic pollution and ask people to stop opting for single-use plastic. Ireland has some of the most diverse and spectacular coastlines in the world. However, an excessive use of plastic is not only damaging its image and polluting Irish oceans and seas, but it is also threatening our marine wildlife and people’s health. Statistics show that, by 2050, the ocean will contain more plastic than fish. Although plastic generally takes between 450 and 1,000 years to decompose, it is still widely used for packaging and other disposable items in our daily life. As such, over a third of all produced plastic, such us straws, shopping bags or bottles, is used only once and then discarded. 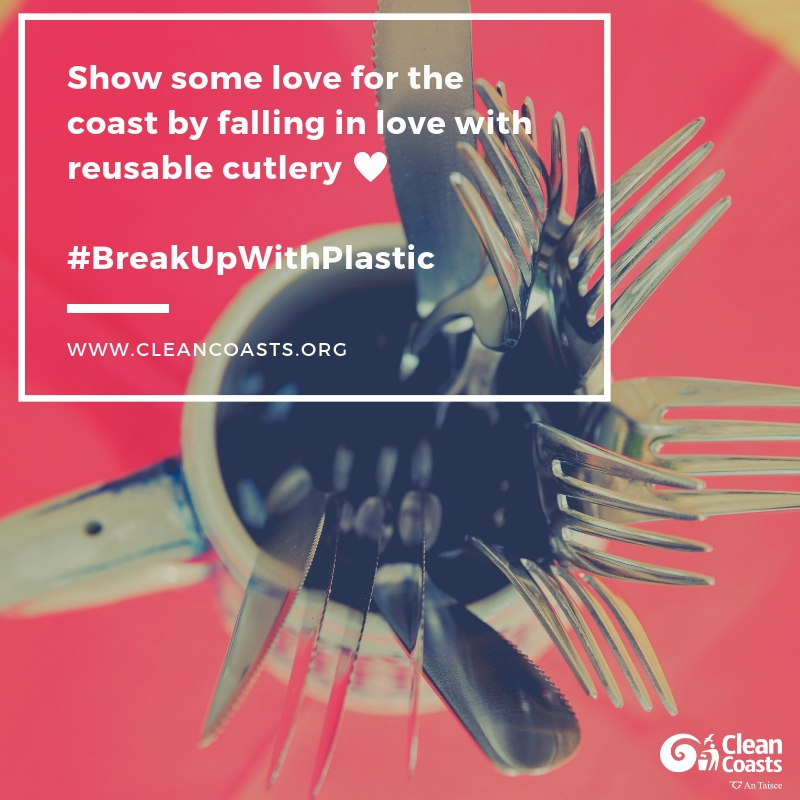 Clean Coasts organizes hundreds of beach clean-ups every year, with the help of thousands of volunteers who remove a considerable amount of plastic litter from our coastline. With the help of everybody, our aim is to end plastic pollution. 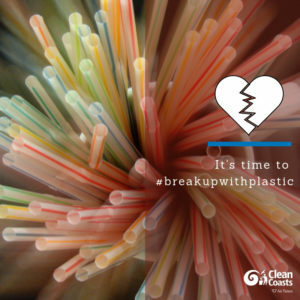 To play an important role in our mission, end your toxic relation with plastic and find a better match.